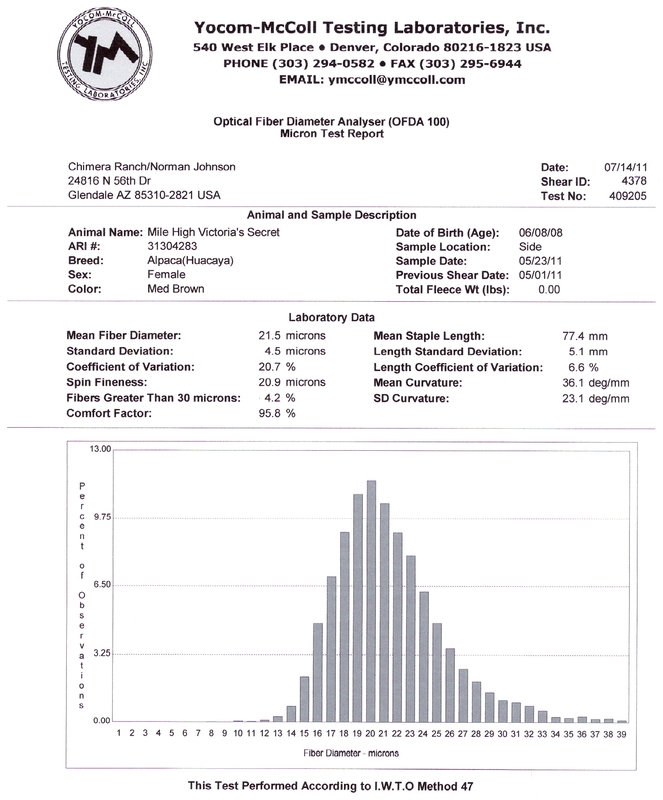 Golden Legend is an exceptional male that stands for quality in both phenotype and genetics. 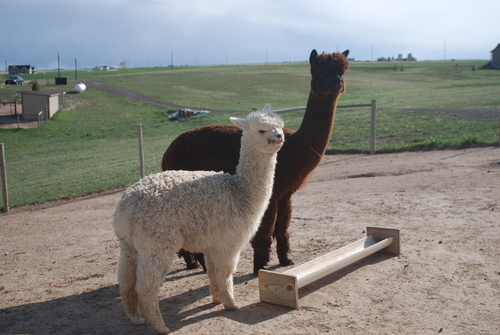 His sire, PCA Accoyo El Nino is the 2004 AOBA National Get of Sire and Senior Champion of the 2001 International Alpaca Odyssey show. 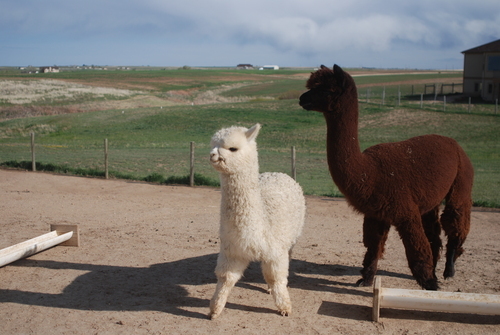 Legend's dam is Sophia del Sol, a light grey, 3/4 Peruvian sired by Peruvian Camilio. 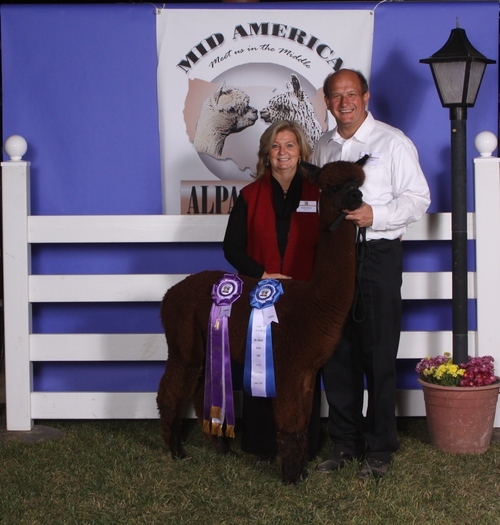 At her first show the AOBA Senior Judge commented on the micro bundling in Sophia's fleece and said, "The only thing wrong with this alpaca is it's not a male!" 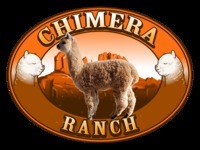 If your goal is to introduce superior genetics that includes bloodlines such as Peruvian Caligula, Peruvian Camilio, and Peruvian Guellermo into your herd then you will be making a sound investment in breeding to El Nino’s Golden Legend. Many of El Nino's Golden Legend's offspring are on the ground and pulling in Championship after Championship in the show ring. 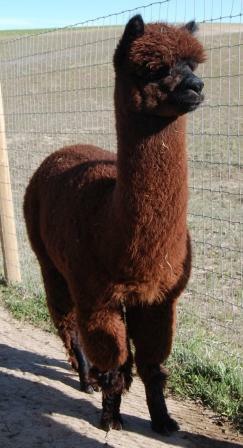 El Nino’s Golden Legend is perhaps one of the most striking males that any breeder will encounter. Victoria’s Secret has certainly inherited and displays his phenotype and genetic traits. 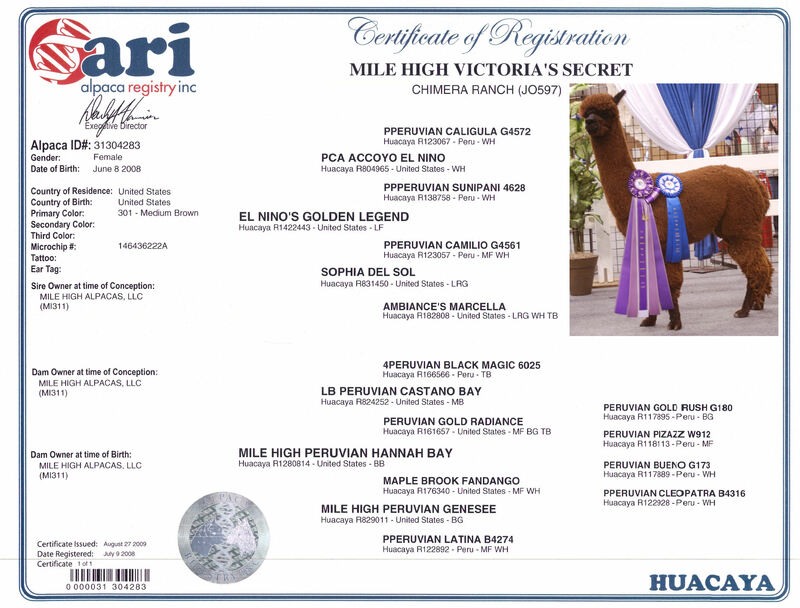 We are very excited to have added Mile High Peruvian Victoria’s Secret, as a future part of our breeding program. This beautiful female has introduced us to the show ring competition with memories that we will never forget. Watch as this beautiful female finishes her 2010 show career at GWAS 2010, before she is bred in June 2010 to Mile High Bandimere. 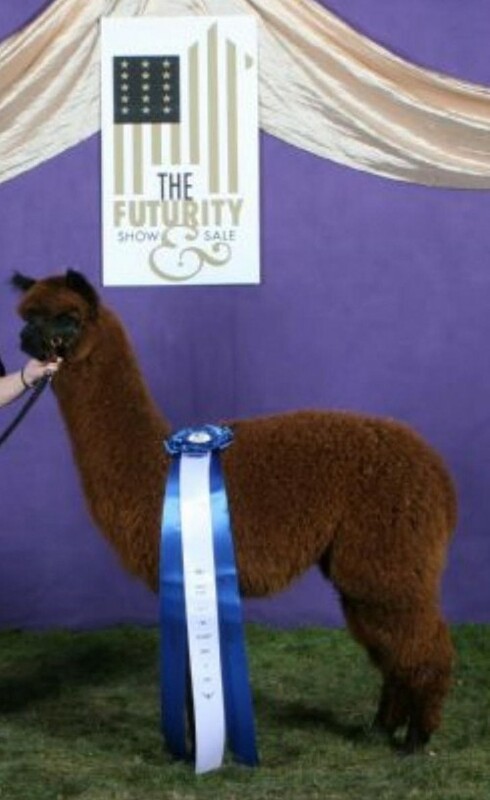 This combination of genetics has us sleepless at night as we envision the cria that will be delivered in 2011. Mile High Victoria's Secret makes her home at the beautiful Sand Creek Criations Spa and Resort. Give them a call and schedule a visit to put your eyes and hands on this magnificent girl.